Icelandic waterfalls are a sensory experience. There is an obvious visual beauty when you see one for the first time and you are immediately drawn to get closer. Waterfalls are thought of as peaceful places but they are powerful and the constant pounding of water plunging down from a cliff is extremely loud. Stand right next to one and it practically screams at you. Walk closer and you feel it, not just the mist hitting your face but theres a sort of wind it creates that whooshes by you. Finally you taste and smell it, and it’s exactly what you’d expect, fresh and pure. Apparently in Iceland people drink water directly from the waterfalls and streams. Ashley, Jordan, and I spent day one touring around experiencing the two major waterfalls in the South of Iceland, Seljalandsfoss and Skógafoss. Each are uniquely beautiful and alluring. Hours in the car together bonding over the important things in life, beards, our cats/dogs, and food. The end of the daylight was approaching fast and so was the rain. We started walking down a long trail to the “secret” Icelandic pool and the rain followed. Luckily when you are relaxing in a natural hot springs it doesn’t really matter if its raining. It was cold. It was windy. It was beautiful. They chose a spot cliffside near Vik overlooking the ocean and black sand beaches. The wind pushed against us and we pushed back in an effort to stay standing. When you rent a car in Iceland they get really pushy about this extra wind protection insurance, I always thought it was BS until I was in Vik and could barely walk forward, now I can see what they mean. You could see for miles until the coastline was obscured by fog and started to merge with the sky. Ashley and Jordan each brought a parent with them who spoke words of love and affirmation before the two exchanged vows. So dang sweet. This is gorgoeus!!! You always do amazing work!! I love the way the water on the front of your lens played with the images. Incredible set. Oh woaw, Really love your work but this one is so... ! Don't even find words, Great shoot Sara, you rock ! Her dress is perfect! Beautiful images. Amazing set of images! Love the spray in the shots... has really created such a cool atmosphere. Stunning! Loved the photos, the story, the music. Beautifully captured Sara. Thats one powerful beard. Awesome images! Love your style always! Stunning images Sarah! I love to emotion captured in every photo. Well done. Beautiful. So there is no possibe way to choose a favorite. The tone, movement, happiness, location, everything was perfect. This makes me want to travel, elope (again), and grab my camera right now. 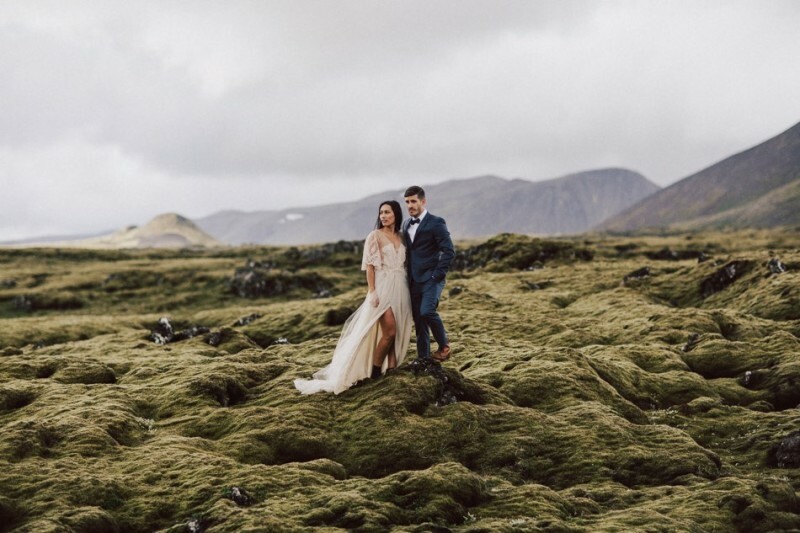 Your photography + Iceland + this couple = magic.